A rich and decadent chocolate spice cake with a flavorful ginger buttercream frosting. Three layers all decked out for the holidays with iced gingerbread cookie decorations and sugar-dusted fresh rosemary Christmas trees! 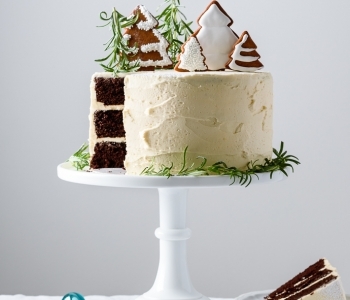 This holiday chocolate spice cake is kind of my grown-up version of decorating a gingerbread house. 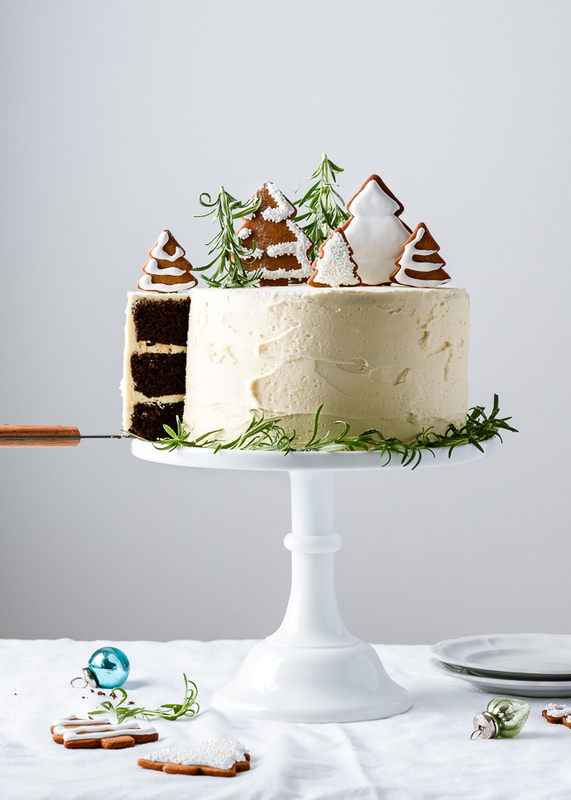 It’s fun and festive, with three layers of generously spiced chocolate cake, a fresh and flavorful ginger buttercream frosting, and iced gingerbread cookie toppers. 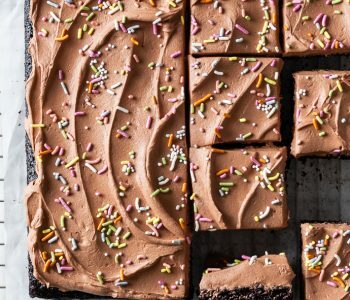 And, unlike most gingerbread houses – sturdy, and spackled, and I suppose technically edible – you’ll actually want to eat this when you’re done! No, devour. Because this chocolate cake is rich, and moist, and full of all the flavors of gingerbread and the holidays – cinnamon, cloves, fresh and dried ginger, molasses, vanilla, and cocoa. We could just stop there and all be very happy, but then we’d be leaving off what might be my favorite element, the ginger buttercream. It’s incredibly ginger-y and oh, so delicious, and I currently want to slather it on every sweet treat I bake. 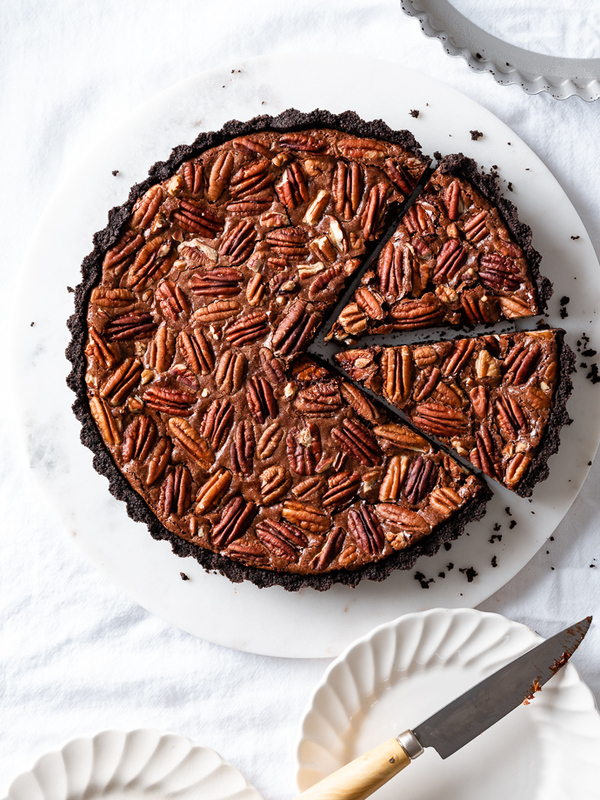 A truly indulgent double chocolate pecan pie tart, with an Oreo cookie crust and a gooey, fudgy, brownie-like chocolate filling topped with toasted pecans (made without corn syrup! ), this chocolate-y twist on classic pecan pie is destined to become a holiday favorite! This is probably not the best lead in to a pecan pie tart, but seeing as we’re all friends here, I’m going to be honest with you: I’m actually not a huge fan of classic pecan pie. Pecan pie purists may disagree, but the corn syrupy filling that so often separates into a goopy, saccharine stripe beneath the otherwise innocent pecans in many traditional versions ruins the whole thing for me. 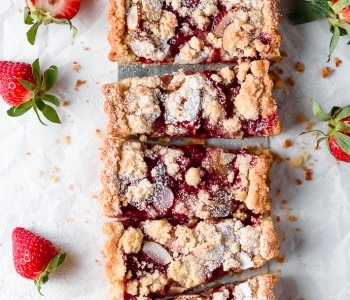 It’s one of the few desserts that’s just too sweet, even for my sugar-loving tastebuds. Rich and creamy gingersnap pumpkin pie bars – everything to love about classic pumpkin pie, but so much easier, with a flavorful gingersnap cookie crumb crust, a silky smooth, ginger-spiced pumpkin filling, and perfect for a crowd! These gingersnap pumpkin pie bars are for those of you who thought, wow, last week’s roasted sugar pumpkin pie sounds deeelicious, but also like, a lot of work. 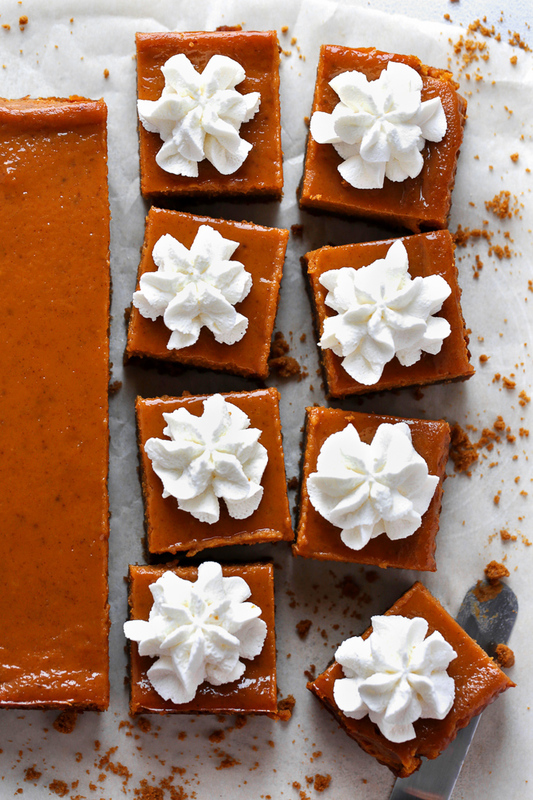 Well, my friends, welcome to everything there is to love about that super creamy and flavorful pumpkin pie, bundled up nicely in nearly foolproof bar form, and ready in less than half the time. 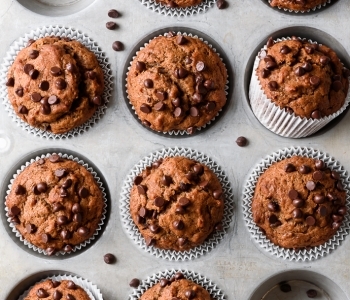 They’re the lazy baker’s BFF.